The second Spike New Year Greetings - Hope you like these and thanks to all who shared their works with the LJ Spike fans - Of Course, thanks to sueworld. I like it a lot. I love the colours and the lights, and the softness you gave to his face. Thanks Much - been trying out more digital painting techniques - and glad to see you made the deadline for posting. Almost the new year here half an hour to go in New Mexico. Very nice, I like this one too. 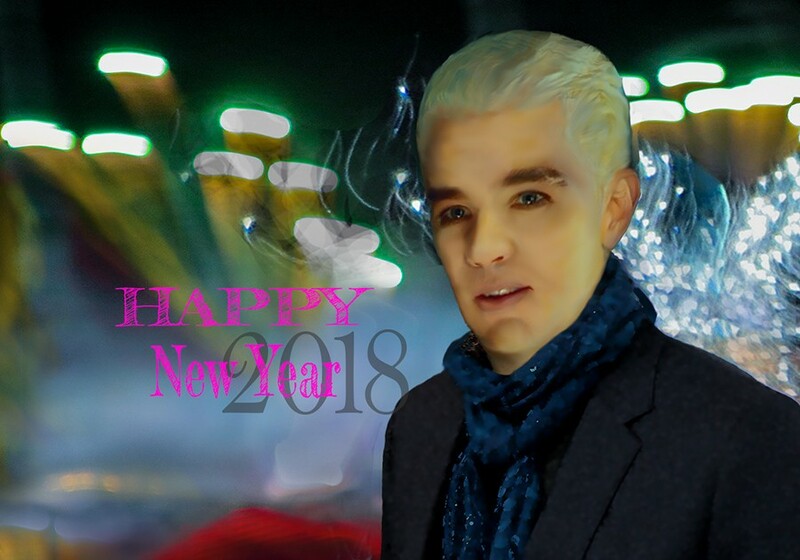 Thank You very much - here's to a good 2018 and sharing more of our love for Spike, the Buffyverse and Spuffy.